Please play your part in supporting them by spending locally where possible. 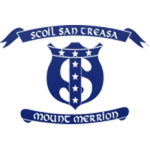 Mount Merrion's Catholic primary school. Listings in this Directory are free of charge to local businesses and businesses elsewhere owned by local residents. To include your business, send an email to mmra@mountmerrion.ie.